guns are inanimate objects. they dont fire on their own. people kill people, not guns. 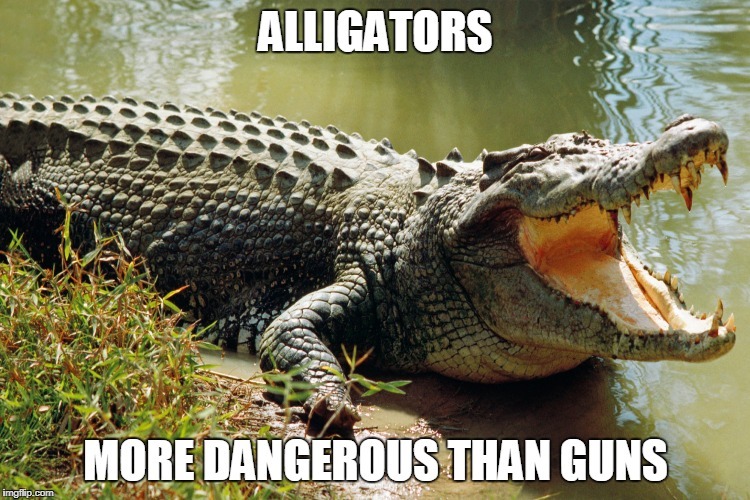 people are more dangerous than alligators yes, not guns. abraham lincoln wasn’t killed by a gun. he was killed by a man that shot him with a gun. you can’t train an alligator not to attack you. these are wild predators that can’t be tamed. however you can train to safely use a gun. the gun doesn’t have a mind of it’s own like the alligator. if you shoot yourself in the foot that would be your own fault. False. More people are killed by firearms every year in the US than are killed by alligators. What an absurd thing to say. Guns don't fire on their own, the fact that people use them was clearly implied.